High-tech manufacturer Airedale International Air Conditioning has won a £1-million ($1.27 million) export order to supply specialised air-conditioning units for the new Riyadh metro system in Saudi Arabia. Airedale, which employs over 400 people at its production facility in Leeds, UK, specialises in producing innovative, precision air-conditioning units designed for use in data centres where computer servers need to be maintained at a controlled temperature. The Airedale ‘EasiCool’ units destined for Saudi Arabia are designed for precision applications and will be used to cool the server rooms incorporated in the new metro stations currently under construction, said a statement from the UK group. 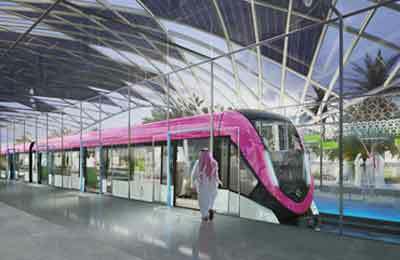 Riyadh’s new £18-billion metro consist of six lines covering 110 miles and will include 85 stations, with the first phase due to open next year, it stated. Asim Ansari, the export sales manager, said: "This is a fantastic contract win for us, on a huge and very high-profile project. Exports now make up around 30 per cent of our sales at Airedale and we have been growing our presence in the Middle East over the last few years, after establishing an office in Dubai in 2014." "This has allowed us to strengthen partnerships in the region, in this case with Saudi Temco, Setra and the BACS Consortium, which are heavily involved with the design and construction of the project," added Ansari. British goods, he stated, are held in particularly high regard in the Middle East, which has helped to boost the firm’s export strategy.